With summer right around the corner and temperatures already into the 80’s in many parts of the country, it’s a perfect time to start thinking about easy summer clothes. 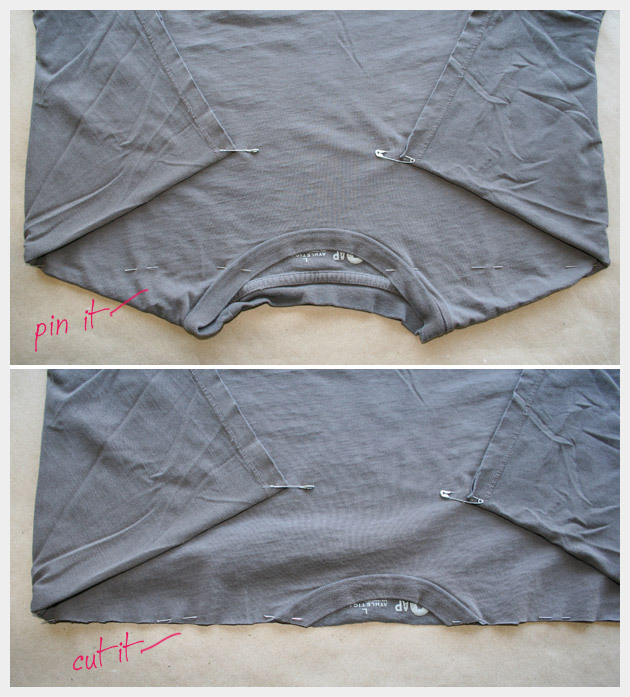 This is a fast and easy way to transform a basic t-shirt into a cute summer top. To see step by step instructions and pictures click here. Measure your elastic around your chest just under your arms. Pull it a bit snug, the smaller chested you are the tighter youll want your elastic to be. 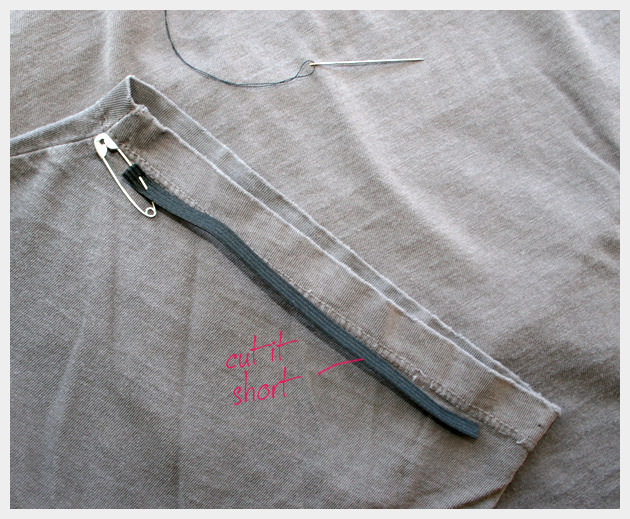 Cut your elastic leaving an extra inch or so for sewing. 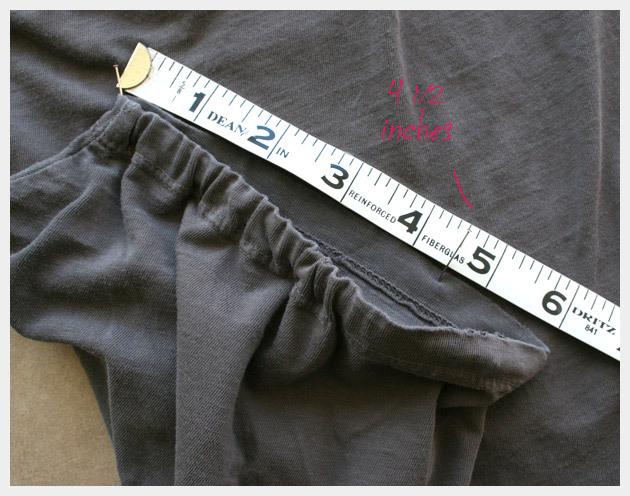 If youre not sure on the size leave your elastic a little long you can always shorten it. Attach your safety pin to your elastic then make a small hole in the existing bottom hem of the t-shirt, and run it through the hem. 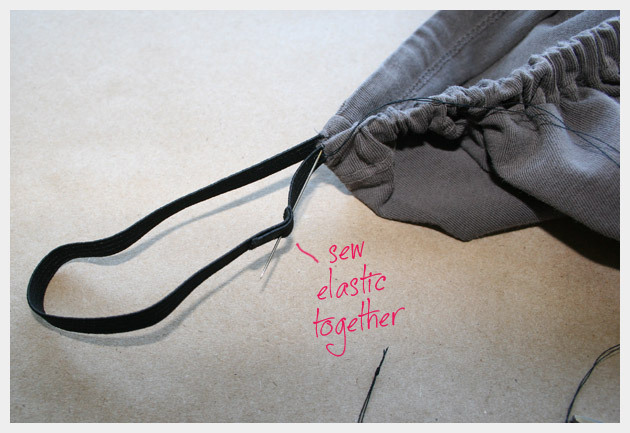 Check your size and sew the ends of your elastic together. 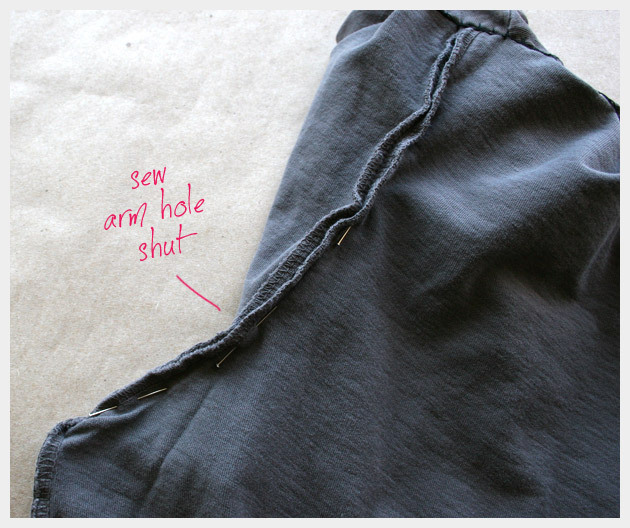 Sew the small hole you made in your hem closed. Pin a straight line across the top of the tee where the shoulders are. You will be cutting this off and hemming it. Pin your sleeves flat against the front of your tee. Pin the edge you just cut and hem with your needle and thread. Sew the arm holes shut. Cut 2 small pieces of your elastic. 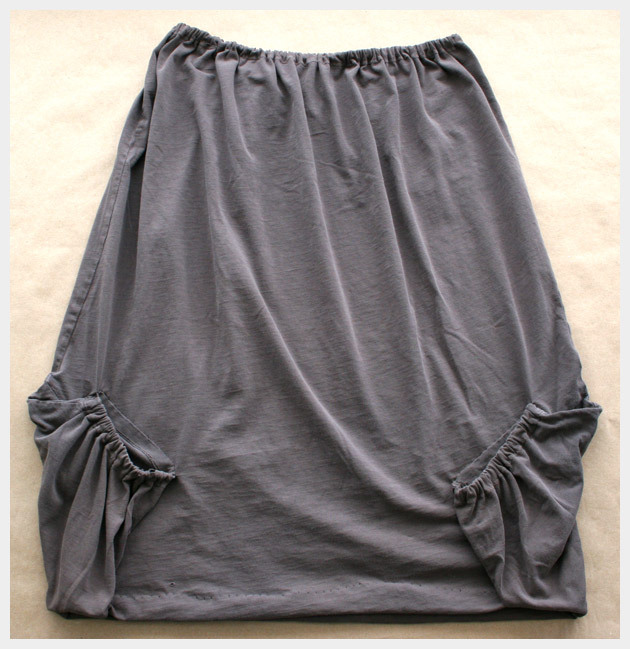 Just like you used the bottom hem of the tee, you will use the hems on the sleeves for the elastic on the pockets. 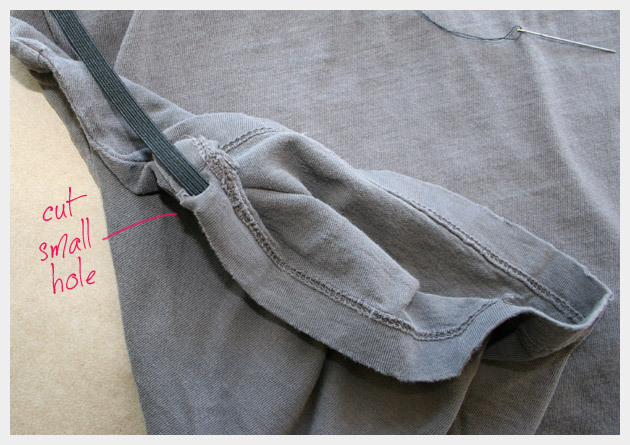 Cut a small hole in the sleeve hem (on the inside), attach the safety pin to the elastic and run it through the hem. But only run the elastic through about two thirds of the sleeve hem. This time you will need to secure the elastic to the tee, since it’s not going all the way around. I left about 4 Â½ inches of the sleeve without elastic. 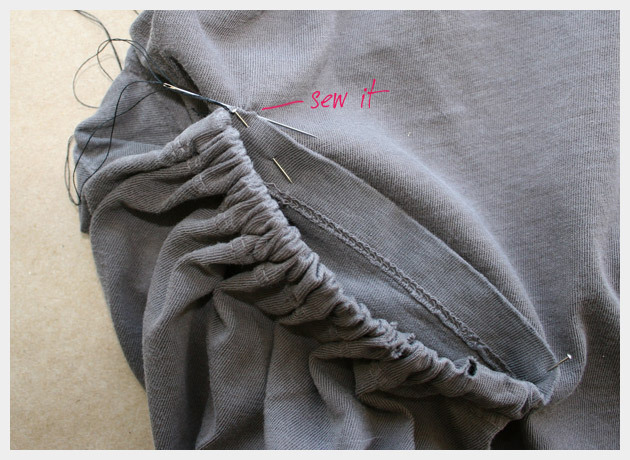 Sew this part to the front of the tee. I’m seriously thinking this needs some embellishing. I may print it or at least splatter it with bleach. If I do I’ll post it. Have fun with this project! I just love super fast and easy sewing pcrteojs! I went through a sewing phase and made so many pajama pants and shorts for my boys that they finally asked me to stop. So, I moved on to skirts for my nieces… again I was asked to stop. So, I started making things for me and it just was’t as quick or as fun.. since well, clothes for me are MUCH bigger. LOL! This is so fun! I love how it turned out. Did you make one? It’s super easy. :))) I used one of your ideas! I linked up and gave you cerdit! :) Hope you like my “take” on your idea! p.s. my wv was wor”boo” I think thats a halloween sign! The Tee shirt transformed , strapless top looks very nice and cool for summer. In looking at it I thought about different colored pockets from sleeves of another top or two different colored pockets is another idea, to give some “pop” to the top. 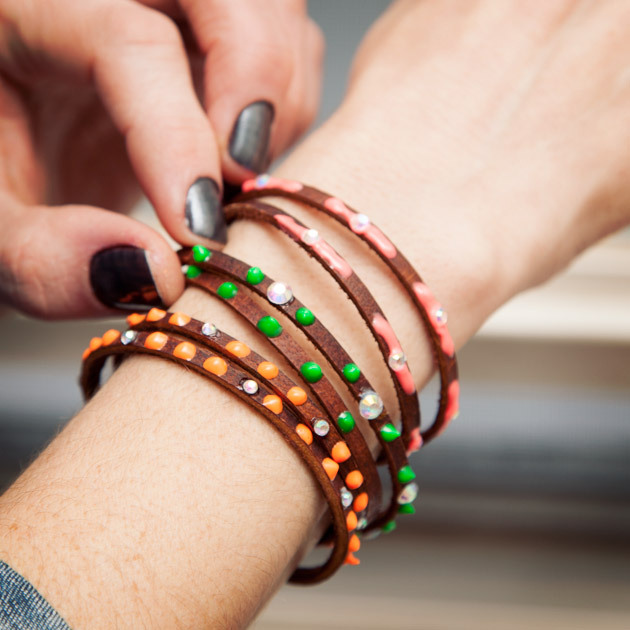 Press the top with some sizing spray and you could add some pretty beads to pockets as well or some sparkle spray for evening wear with jeans and some low heels or flats. Those are really great ideas! 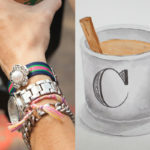 I love the bead idea! 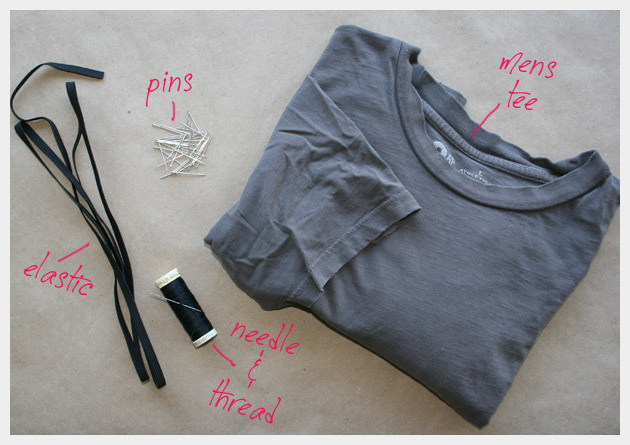 I just love your DIY for this great tee-shirt ! I will try it as soon as the sun comes back here :-) Thanks !!! 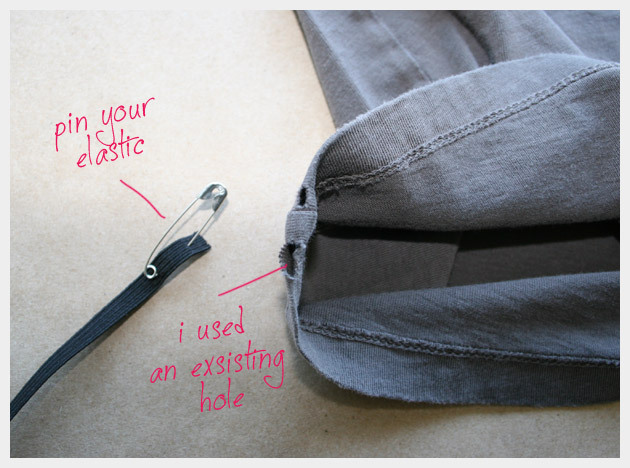 Oh my goodness this is so adorable and I’ve always wondered how to get pockets on a shirt without it being too difficult. So thank you so much. 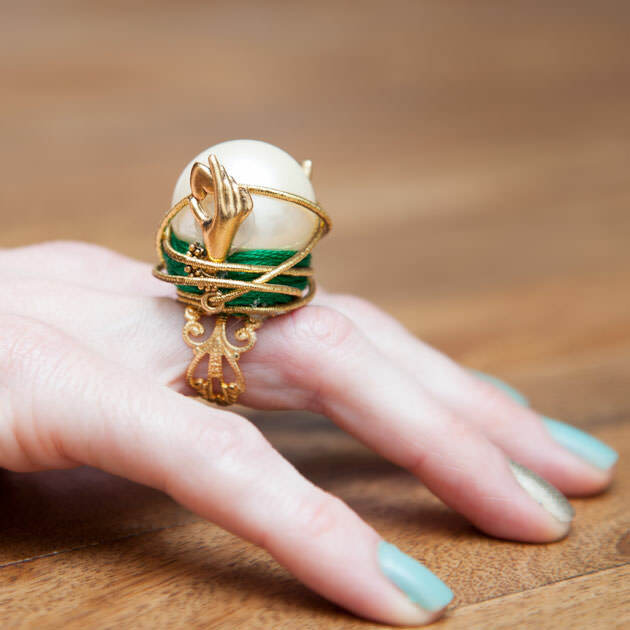 I’m going to make one or fifty (lol) as soon as I can!